#TGCET TS Gurukulam CET Entrance Exam Pattern, Eligibility Criteria, Seats Reservation 2019: Eligibility Criteria for TS Gurukulam 5th Class Common Entrance Test, Prospectus of TG gurukul CET 2019, Telangana Gurukulam Common Entrance Test Schedule, Exam date for Telangana Gurukul CET 2019, Specialties of various TS Gurukulams, Online applying Last date for TS Gurukulam Entrance Test. Selection Process for TS Gurukul Entrance Exam. How to submit the TS Gurukul CET Online application form. Since few days we have well noticed with TG Gurukul CET 2019. Because it is quite different from other tests which are conducted earlier. 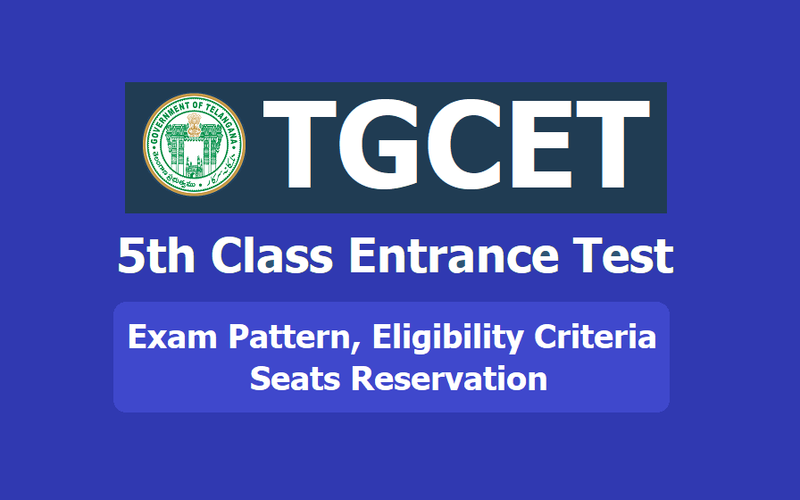 Each residential/Gurukul will conduct their own entrance test. But now it is common test for admissions in to various Gurukuls. A parent/ guardian irrespective of their community/ financial status worries about the place /Gurukul, where their child is going to be studied. They will have many doublets in them and they may be in dilemma whether to fore step this side or not?. This TS Gurukul prospectus will clarify and keep check to all of their doubts sol go ahead. 1. Teaching by well qualified and experienced teachers. 2. 24 hrs teacher's supervision. 3. Parallel coaching for competitive tests like IIIT, EAMCET for scoring best ranks and admissions into prestigious institutions. 4. Coaching through summer camps to get admissions into central university, TISS etc. 5. House masters/ house parent system to solve the students problems. 6. Special focus on co- curricular activities, spats etc along with regular lessons. 7. Coaching in physical education & yoga. 8. High percentile in all govt exams. 10. Nutrition & tasty food along with fine rice. 11. Free textbooks & notebooks. 12. Free stationery (pens, pencils, record books etc). 13. 3 pairs of uniform. 14. PT dress, track suit , sports shoe etc. 15. Plate, glass, bed sheet, blanket etc. Govt is planning to give all the facilities completely free to the students. Applications are invited various Gurukuls (507) accredited to institution of Gurukul education/ Vidyalayas . Duration of TGCET Online application process is Dt: 18-02-2019 to 15-03-2019. Statewide centres in all district Head quarters. Allotment of centres in districts will be by DEO and exam will be conducted in those centres only . Details of exam centres are given in Prospectus. Exam will be in Telugu, English & Urdu Media. For the year 2016-17 students parents/ guardians annual income should not exceed Rs.1,50,000/- (for rural areas ), Rs. 2,00,000/- (for urban areas ) children of armed personnel are exempted. Student should be in 4th class for academic year 2016 - 17 in govt school or school recognised by govt. District will be taken as unit in the selection process. Students belongs to fisherman community of all districts are eligible to take admission in school kodipalli (MDK Dt). Candidates of 31 dist of TG are eligible to take admission in centre of excellence school of Sarvail (Nalgonda Dt). of 4th class level in objective type. ~ Duration of exam is 2 hrs. ~ Students have to fill your answers in OMR sheet are given in Prospectus. ~ Exam will be in Telugu, English & Urdu Media. 1. Merit in entrance test. 2. Reservation Table given above. 5. If the same rank is secured by more than one then date of birth, marks scored in EVS are considered. 6. Physically handicapped children,children of armed personnel reservations belongs to their community reservation only. 7. If any lack of candidates of any caste reservation category then reservation according to the rules of govt . 8. Remained vacancies of special category (PHC, children of armed personnel are allowed according to merit basis. 9. District wise schools, eligible districts of admission in that schools are given in table (1). If selected candidates are not eligible,for admission any reason, such admission will be cancelled by convener ( authorized).